Clinician Biographical Information Patricia Dash was appointed to the Chicago Symphony Orchestra by Sir Georg Solti in 1986, when she was just 24. Born in Rochester, New York, she began her percussion studies at the age of nine. She received a diploma with honors and a certificate of merit from the Eastman School of Music’s Preparatory Department in 1979, and went on to earn a Bachelor of Music degree with distinction from Eastman in 1983. Her teachers included John Beck, Ruth Cahn, Allen Otte, Richard Jensen and Doug Howard. While in college, she performed as an extra with both the Rochester Philharmonic and Cincinnati Symphony orchestras. Patsy came to Chicago from the Philharmonic Orchestra of Florida, where she held the position of principal percussionist. She has since performed with the Chicago Chamber Musicians, Chicago Pro Musica, the CSO Trombone Ensemble, the Ensemble Intercontemporain of Paris, and in numerous CSO chamber music concerts at Orchestra Hall. 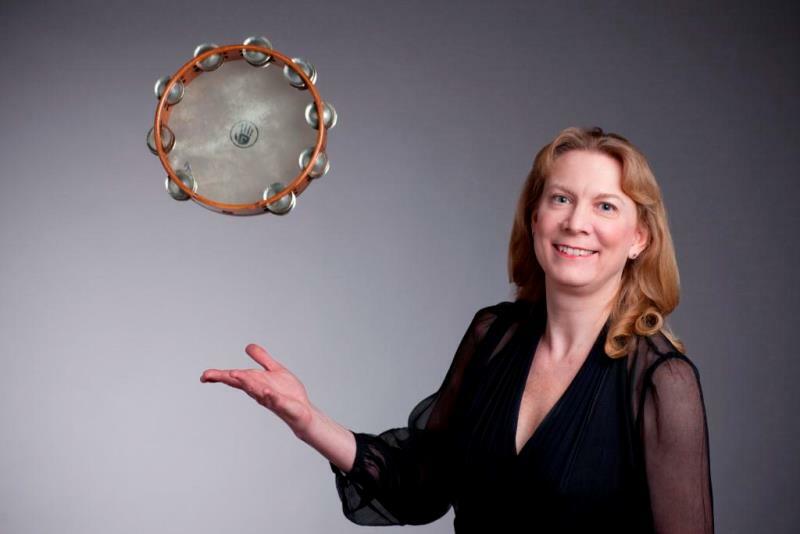 In 1995 she initiated a scholarship percussion program, sponsored by the CSO, for gifted young students in Chicago, which has performed extensively at Orchestra Hall, twice at the Percussive Arts Society International Convention and at the Midwest Band and Orchestra Conference. When not performing with the Orchestra or teaching, Patsy enjoys playing with her son and three cats. She is married to fellow percussionist Doug Waddell, who is a member of the Grant Park Symphony Orchestra and the Lyric Opera Orchestra. Their son, Ryan, was born in April 1999. Second Clinician Biographical Information A member of the Grant Park Symphony and the Chicago Lyric Opera Orchestras, Douglas Waddell is constantly in demand as Chicago’s most versatile and virtuosic percussionist. He has been timpanist with the renowned Music of the Baroque ensemble since 1983, and as a member of the Contemporary Chamber Players of Chicago has performed and recorded a wide variety of 20th century chamber works. Mr. Waddell has performed throughout the United States, Europe and Japan with the Chicago Symphony Orchestra and can be heard all over the world on hundreds of television and radio commercial jingles. He has appeared as soloist with the Grant Park Symphony, Symphony of the Shores and the Contemporary Chamber Players of Chicago. But Mr. Waddell’s greatest achievement is directing, along with his wife Patricia Dash, the Chicago Symphony’s Percussion Scholarship Group, a program that gives extraordinarily talented inner city youth free percussion instruction and performance experiences at Symphony Center from grades 4 through 12. In 2003, Mr. Waddell’s first two students graduated the program and began their college studies at The Eastman School of Music and Yale University. In 2004, two of his students took first and second prize at the Chicago Symphony Orchestra’s youth auditions. Mr. Waddell’s 2006 graduate performed on the PBS radio show “From the Top”, was guest soloist with the Chicago Symphony, and is attending Harvard University and the New England Conservatory of Music. In 2007, two PSG members were awarded full scholarships to attend the Interlochen Summer Arts Academy and the Brevard Summer Music Festival. In 2008, Joshua Jones, a member of the PSG for 8 years, appeared on “The Today Show” with Al Roker as well as the television edition of “From the Top at Carnegie Hall”. In 2009, the Percussion Scholarship Group performed live in Dallas, Texas on the PBS radio show “From the Top”.